While vacationing at an Alaskan lodge during a photo shoot, a pragmatic, solitary billionaire (Anthony Hopkins)--with a steel trap mind when it comes to survivalist tidbits--naturally finds himself lost in the wild with a sleek photographer (Alec Baldwin) who may or may not have eyes for his trophy wife (Elle Macpherson) and fortune and might prove a bigger threat than the 2,000 pound, flesh eating Kodiak bear stalking their every move. Even with its rustic, prepossessing location shooting, exciting action sequences, and rugged subject, The Edge misses the point somewhat by deprioritizing the fact that at its heart this is essentially a two-man David Mamet battle of wills play which is evident in director Lee Tamahori's occasional misdirection of his actors (who are mostly great) and a lack of emphasis on the punchy dialogue. A idealistic, small-time staffer (Adrian Lester) is recruited to join the Presidential campaign of a magnetic Democratic Southern governor (John Travolta) and, after quickly believing he may be the real deal, signs on as campaign manager and even more rapidly finds himself covering up his new boss' sexual escapades. When their opponent unexpectedly (and fortuitously) exits the race, an old hand politico (Larry Hagman) steps in, galvanizes his position, and leads the campaign on a muck finding mission led by a deranged but brilliant former ally (Kathy Bates) which leads to dark, compromising places of the American political abyss. Based on a novel by Joe Klein (originally published under Anonymous) detailing Bill Clinton's 1992 run, Primary Colors is an exemplary political satire. With a funny, adept, and ultimately sorrowful script by Elaine May and sharp direction from Mike Nichols, the film knows its territory and contains deeply invested, humanized characters. Travolta's performance is one of his best, Emma Thompson is excellent as the Hillary cipher, Billy Bob Thronton hilarious in the James Carville role, and Bates and Hagman both heartrending in standout performances. 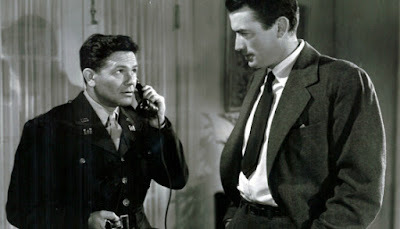 A California journalist (Gregory Peck) heads to New York to write for a liberal digest and labors over how to approach his new assignment in exposing anti-Semitism in many variants in society until it hits him: attack it like every one of his acclaimed exposés, by getting down to the ground level, and feign being Jewish himself. Age shows on this Elia Kazan Best Picture Oscar winner and it grows tiresome and overly preachy with a bland Peck at his most rigid. The screenplay however is utterly thorough and explores its subject through many angles and lenses. Shots ring out in a London Vaudevillian theater, an attempt to create a distraction by a female agent who finds herself in the flat of one the show’s attendees (Robert Donat). Now, he is thrust into the serpentine plot that takes him to the Scottish Mores where he is both pursuing and pursued by the deadly, clandestine eponymous spy ring. 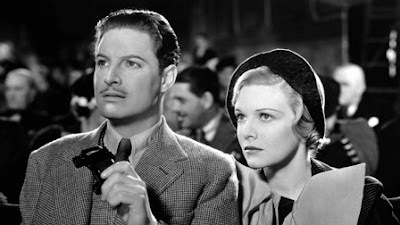 Slyly conceived and brilliantly realized, The 39 Steps is a supreme entertainment that anticipated not just some of Alfred Hitchcock's future work but also inspired many successful, subsequent thrillers.